Much has been made in the news recently about the potential of an Electromagnetic Pulse (EMP) attack against the United States. With North Korea advancing their nuclear programme, it would not be long before that country could successfully launch such an attack against the U.S. Russia has long had the capability, so does China, and some suspect even Iran is covertly working toward such a goal. There is, however, much debate as to the effectiveness or even reality of such an attack. First, what would a successful EMP attack against the U.S. do? A nuclear weapon of sufficient magnitude detonated at the proper altitude would send – as its name implies – an electromagnetic pulse across much of the continental United States and into parts of Canada and Mexico. The pulse would overload and destroy many electronic components that are not properly shielded. This would include computers, power transformers and stations, radios, television and other lines of communication, automobiles, etc. Basically, anything built after 1960 that has any kind of transistor or electronic component would be susceptible and damaged or destroyed. The thing is, it is all theoretical. It’s never been done before. Movies like The Day After and Threads have dramatized it, made assumptions about it, but no one really knows what would happen if you detonated a nuclear device high in the atmosphere. There’s still a lot of guesswork to it. What do we actually know about EMPs? High altitude tests in the 1960s confirmed the existence of the electromagnetic pulse and the damage that it could cause. Nevertheless, there is still great debate as to the effectiveness of an EMP, as it is affected by altitude, yield, construction details, target distance, intervening geographical features, and local strength of the Earth’s magnetic field. Additionally, some believe that cars would not be affected because of their short wiring and circuits and that electronics that are turned off would be less susceptible than those that are turned on. Some believe that an EMP attack against the United States would be a devastating blow that would send the country back to the Stone Age. That the U.S. is so large that it would never be able to effectively repair and reassemble its infrastructure before millions die. Others believe that an EMP attack, even if successful (and that itself is debatable), would not cause cascading damage and that the country is resilient enough to survive and recover. 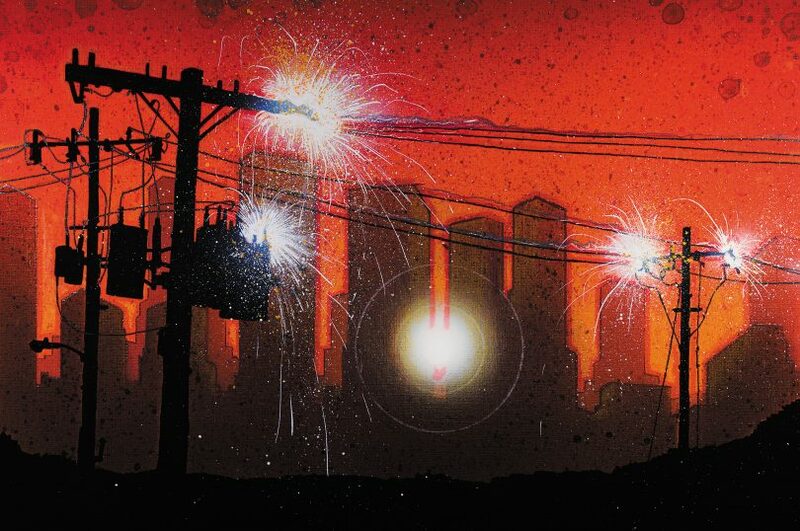 The DEFCON Warning System has concluded that even though the effects of an EMP attack are debatable, the possibility of significant destruction and disruption is real enough that citizens should be prepared to survive on their own for a great deal of time if and when an attack should come. We feel that there is simply not enough data to make any kind of certain prediction regarding the effectiveness of a large-scale EMP attack and that it is better to be prepared and nothing happen than go unprepared and be left for want. While it would be comforting to have a definitive answer regarding the EMP threat, we must accept that this is an unknown and must take the steps necessary to protect ourselves in the event that the threat proves real. To do otherwise would be foolhardy. The bottom line is this: In the day of disaster, how will you explain to your family why you did not prepare beforehand? Thomas Lonely Wolf is the Director of The DEFCON Warning System.